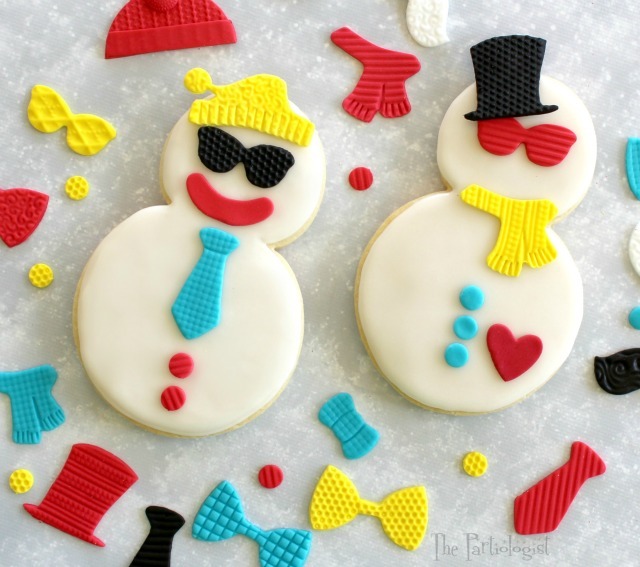 The Partiologist: Snowmen Dress Up Cookies! Do you want to build a snowman? 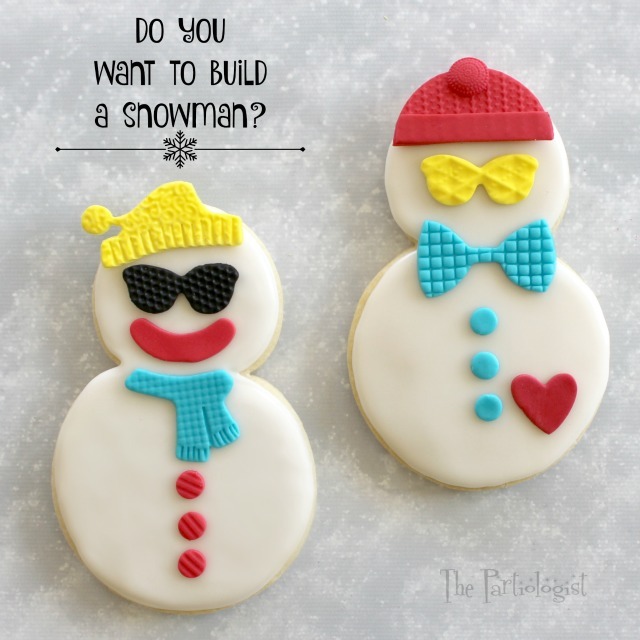 Me, not so much, but I would like to build a snowman dress up cookie. I made the mistake of going out to buy groceries, only I went to Michaels instead. By the time I was finished digging through the sales, I was too tired to go the grocery store. 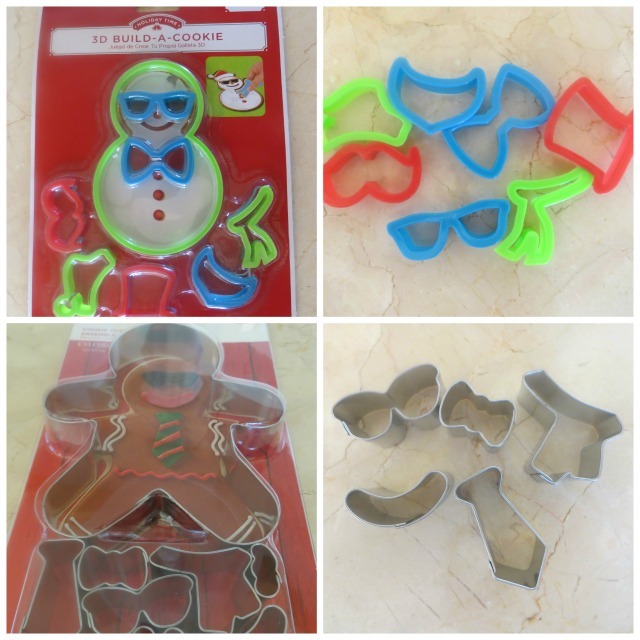 Lucky for me, I found cookie cutters on sale, complete with accessories. I made cookies instead of dinner. It happens a lot. Who knew men could have so many accessories? And I gave him a heart. These are the cute cutters I found. The top 3D Build A Cookie, I found at Wal-Mart. The bottom gingerbread man with accessories, I found at Michaels. Thank heavens we needed groceries or I would have never gone out! Even if I never ended up getting the groceries, I ended up with really cute cutters, right? The cutter was the perfect size for the snowman. 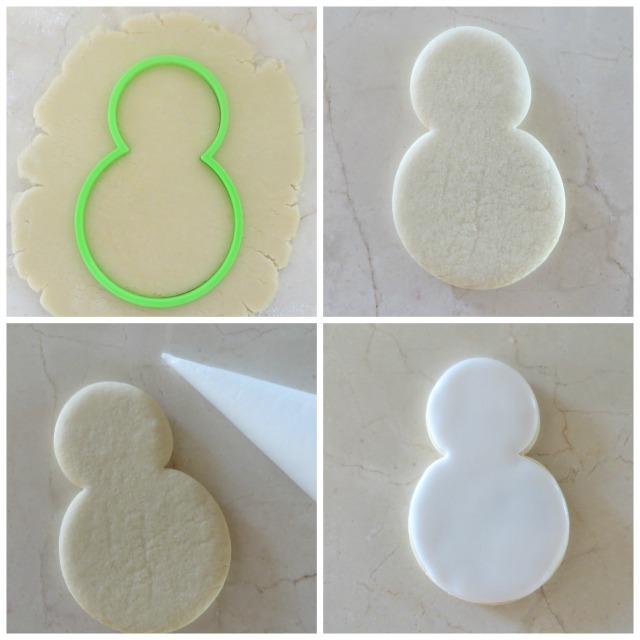 Roll and emboss colored fondant with the Makin's impression mat. Cut with the small accessory cutters. Using a toothpick, I made a few more indentations on the scarf, necktie and bowtie. Then I made the magic hat. 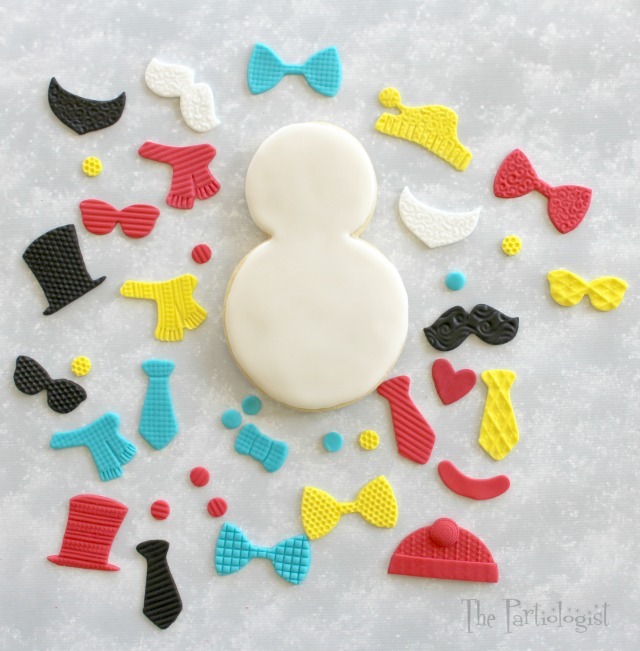 All snowmen have a magic hat, right? Finished up with several pieces to play with. I made the red cap, directions HERE. Are you ready to accessorize? What fun I had any child could have! 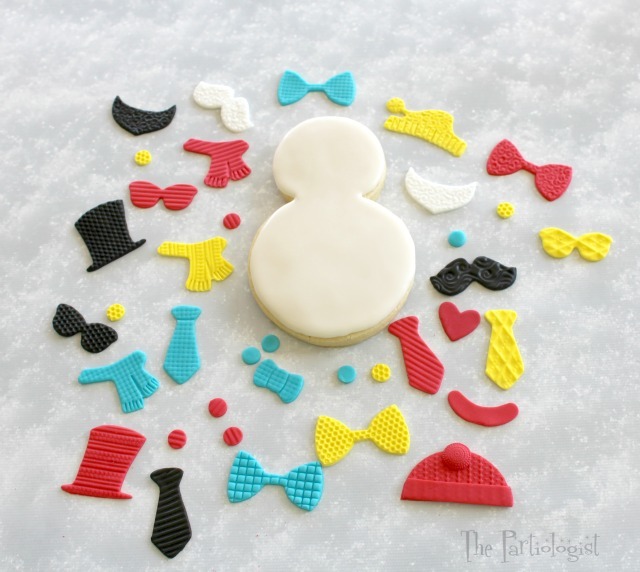 And add the snowman tag HERE. A small commission is eared from Amazon sales. For sure! Groceries are overrated, right? 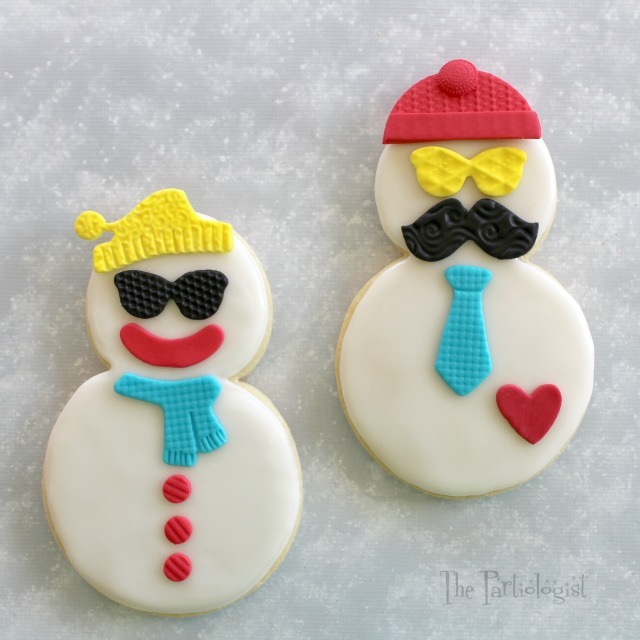 Now those are my kind of snowmen! So cute. I was quite surprised I found them, I went out long after the sales started! Next year?? 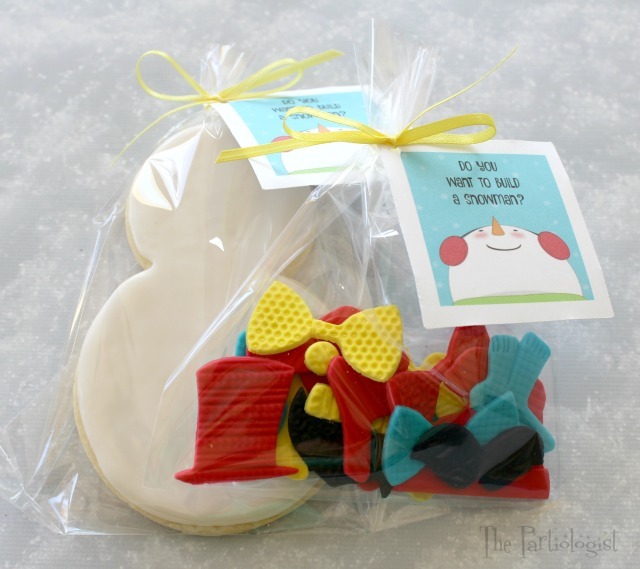 Oh my goodness...these are so wonderful! It makes me happy just looking at them!!! I WANT TO BUILD A SNOWMAN!!! These are adorable. Can you tell me the name of the wilton cutter, I am trying to find it on ebay. I found the walmart one, but not the wilton one. Thanks so much for your reply, I didn't even see that link, sorry about that. Did you let the fondant pieces dry completely before you packaged them?